Discover London’s hidden history with CattoWalks! Please get in touch if you would like to talk about a possible bespoke walk for your family and friends or perhaps company or social group. I am Andy Catto – that’s me in the silly hat talking to a walking group about the history of St John’s in Clerkenwell (including the fate of the man who introduced the first poll tax!). I am a qualified* London guide and love this amazing city. I also really enjoy working with groups – aiming to do a bit of education, provide some information and, hopefully, do it all in an entertaining fashion. 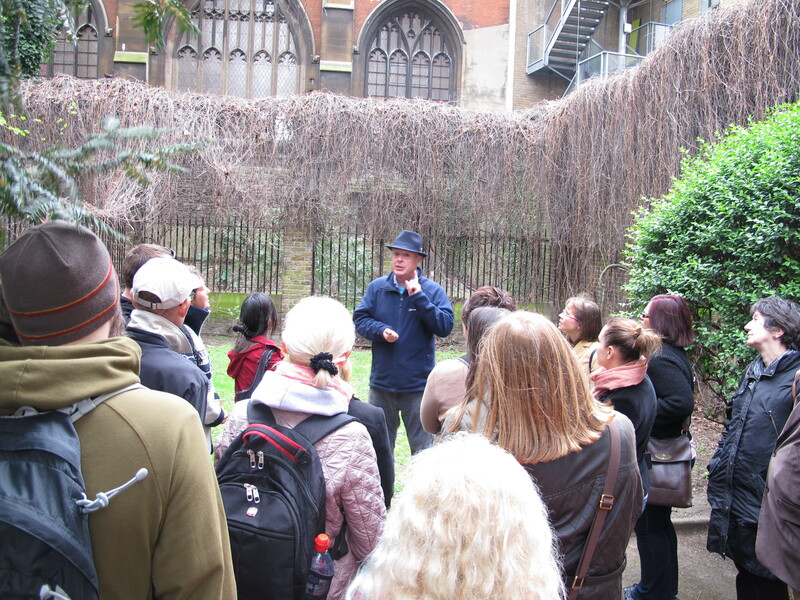 So if you would like to join in a walk, maybe learn something new about London and its history, and also meet some other like-minded people, then come along to one of our walks. We will explore beyond the tourist trail, walk back in time and off the beaten track to discover the stories that built this amazing city.